Just New Zealand Holidays (Just NZ) is a direct to public NZ holiday specialist based in Queensland, Australia. 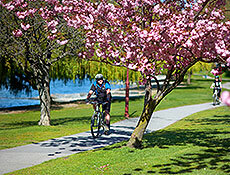 Just NZ is a subsidiary of ANZCRO with over 20 year experience in the travel industry. We can help you plan and book coach tours, accommodation, car hire, walks and sightseeing holidays in NZ. Why book with Just NZ? 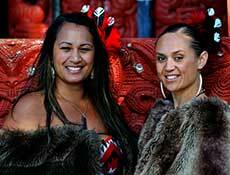 Just NZ is a single destination holiday specialist and our sole focus is creating holidays to New Zealand. We use suppliers from all over the country, so that we can service all your NZ travel needs. What can I book with Just New Zealand? We can help you plan and book coach tours, accommodation, car & campervan hire, multi day walks and most sightseeing activities that New Zealand has to offer. All bookings are a confirmed on a prepaid voucher system. You will received a set of prepaid vouchers and an itinerary listing all the items that you have booked with Just NZ. Vouchers will be either emailed to you or posted to a postal address if time allows. What happens if I have to cancel my booked tour? If a booking is cancelled at your request a cancellation fee or supplier charge may apply. It is strongly advised that personal travel insurance is purchased as soon as payment has been made. Please ask for more information if required. How do I pay and when is payment due? Payment is accepted online by direct deposit or credit card payment. A deposit of NZ$110 per person is due within 7 days of making a confirmed booking . Final payment is due 30 days out from your departure date. If your booking is due to depart within 30 days, full payment is needed at time of booking request. Coach Tours and Walks have different payment conditions. Please enquire for more information. How can we contact Just NZ? You can get in touch with Just NZ by phone or our online chat during our office hours or send an email and one of our staff will reply within half an hour of it being sent. Our contact details can be found here. It is highly recommend that a travel insurance policy is taken out as cover for all traveller to NZ. There are many factors that may cause a traveller to cancel or make changes to a booking. It’s always a good idea to have insurance for any unexpected costs that may come up on your holiday. Can you book families with children on your trips? Yes! We can book a family holiday of any size and we can cater for your family needs with different accommodation or car hire options. However coach tours and certain sightseeing and multi day walks are not recommended for children to participate in. Please enquire for more information. What language is spoken in New Zealand? English and Maori are the official languages of NZ, although English is the general spoken language throughout the country. Do you cater for clients travelling with wheelchairs? 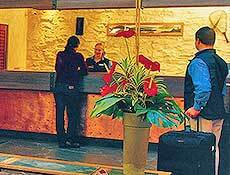 Most accommodation providers provide rooms to cater for passengers travelling with wheelchairs. Please let our consultants know your exact requirements and we will be able to find suitable providers to cater to your individual needs. Please note: there are some sightseeing activities that are not wheelchair friendly. Furthermore, passengers looking at booking a Coach Tour must be able to climb on and off the bus unassisted if they wish to do the tour. Please just ask for more information – we are here to help. What sort of clothing should i pack for my tour? Most of NZ is an informal country and there are not many places that insist on strict dress codes. Smart-Casual is the most common dress sense when going out to dinner in a restaurant and travelling around NZ. Being comfortable and practical is the main idea when packing. Pack clothes that travel well and can be added and removed in layers to adjust to the conditions. Packing a rain/wind proof jacket would be recommended, all year round. Certain parts of NZ like the West Coast and Fiordland area have a high chance of rain all year round. So its best to be prepared. Travelling during the Winter it is recommended to pack a few more warmer items. Also don’t forget to pack a hat to protect you from our sun – the UV is particularly strong in New Zealand. Any time of the year is a good time to visit NZ, however Summer from November to February are busy periods due to the warmer weather. Plus all the multi day walks are open to be booked. If travelling during summer it would be advised to pre-book your holiday as early as possible. What is the legal age to drink alcohol at a licensed premises in NZ? The legal age to drink or purchase alcohol is 18 years or over. Who are the All Blacks? The NZ national men’s rugby union team, the team is nicknamed the All Blacks. Rugby Union is the national sport of NZ. The term “Kiwi” is a common term used to refer to the citizens of New Zealand. When referring a New Zealander as a “Kiwi” it is not considered offensive and viewed a term of pride and endearment of the country. A Kiwi is also a flightless nocturnal bird native to NZ and is the national symbol of NZ. Kiwi birds are very important to the people of New Zealand. They are a flightless bird with hair like feathers, having a down-curved bill with sensitive nostrils at the tip and are only active at night. Kiwi bird houses are located in certain parts of the country where viewings are available to the public. Please enquire about where you can see a Kiwi on your trip to NZ. What is the demographic on the coach tours? A guided tour caters to an older demographic aged at 50+ age group. Whereas Independent coach tours target all age groups as holiday makers are generally travelling in pairs or by themselves; not with a group or with a tour leader. Do you tip or give gratuities in NZ? Gratuities and tipping in NZ is not compulsory but it is accepted if you feel that you have received good service. Do I need to pay a departure tax at the airport? NZ’s Departure Tax is included in the price of your ticket when departing from the following airports: Auckland, Wellington, Christchurch, Queenstown and Dunedin. Any International departure from any other NZ airport will incur a NZ$25 Departure Tax Fee paid direct at the airport. Can I drink water from the tap at my accommodation? Which American airports have flights to NZ and how long does the flights take? Are then any poisonous animals in NZ? There are no major poisonous animals in NZ. Do I need any health vaccination when travelling to NZ? NZ is a 1st world country and at present it is not threatened by any major worldly diseases or viruses. It is not mandatory or necessary to get any travel vaccinations when travelling to NZ. However, some home countries will advise to get certain travel vaccinations completed if travelling abroad and may benefit travellers if travelling to other countries down-under or the South Pacific. Do I need a visa to travel to NZ? Travellers from such countries as Australia, UK and USA do not need to apply for a tourist visa before they travel to NZ. An arrival declaration card will be completed on arrival into the country and forwarded to customs officers at the airport. Are you allowed to free-camp with campervan hire? Free-camping is allowed in New Zealand as long as it is not sign posted stating otherwise. You can choose to free camp in NZ but you will need to make sure that it is in a safe area preferably near a public restroom. We recommended to stay at one of the many camping grounds/holiday parks in a powered site every 2–3 nights, so that batteries can be recharged and water changed over in the campervan. Are there any National Park fees when driving in NZ? There are no entry fees to drive into the National Parks located throughout New Zealand, however fees do apply if you do choose to stay overnight, utilise any of the camping sites or stay in Department of Conservation huts. Do I need a credit card when hiring a car? A credit card must be used as a security bond when hiring a car. Some car hire companies accept Visa/Mastercard Debit cards. A cash bond is not an option and is not accepted as a security bond. Which side of the road do you drive on? Road users must drive on the left side of the road at all times. How much is gas in NZ? We have a team on New Zealand experts available. Simply send us your name and phone number then we will call you back. If you prefer to just send us an email complete our online enquiry form and we will reply to you within 24 hours.